If you are breathing on this planet then you more than likely know of the carnage that is taking place in Gaza. It is hard to remain neutral, not form an opinion and choose a side if you are a critical thinking hue-man Being. Like you, I have read up on the history in the region, read countless articles, I have see graphic photos, all of which have left me with feelings of hopelessness and despair. Especially when it becomes common knowledge that non combative civilians are being massacred with our tax dollars after so many cutbacks and lay-offs. I used to pride my Self on being the poster child of Mid East peace: my sister converted to Orthodox Judaism and I became a Sufi Muslim. Although we have brushed up against each other at different junctures love has always carried us through but on this matter we remain divided. At least we have begun to dialogue with her asking questions about my faith. We are more similar than dissimilar. I am also making a greater effort in forgiving. I find that the more peace I find within my Self, the more peace I transmit therefore effecting change in my environment/life. I believe if we did this collectively, we can heal Gaza and other parts of the world that are in need of healing. Lets vibrate peace! BEGIN: Sit in EASY POSE, with a light JALANDAR BANDH (elogated spine, lifting behind the head and slightly tucking in the chin). Rub your hands together and bring them to PRAYER POSE with your thumbs pressed against your sternum and your shoulders rolled back and down. Your eyes rolled in and up towards your THIRD EYE. Inhale through the nose and chant ONG NA MO GURU DEV NAMO (I bow to the Divine Teacher within) on two breaths. Listen here for the correct pronunciation and cadence of the ADI MANTRA which is found on my CD URBAN MANTRA: VOL I. (Please purchase if you have not already. All proceeds from the album go to Rhythm & Breath's continued effort to bring affordable and accessible mystical tools to urban folk). SECOND POSTION: Extend your arm 4 inches. Chant: DA SA. THIRD POSITION: EXTEND your arm 4 more inches. Chant SA SAY. FOURTH POSITION: Extend your arm all the way. Chant: SO HUNG. HUNG - The infinite, vibrating and real. NOTES: This mantra taps into the energies of the sun, moon, earth, and the Infinite Spirit to bring deep healing. It is important to pull the navel point powerfully on the words So and Hung. Note that the word Hung is not long and drawn out. Rather, it is clipped off forcefully as you pull in the navel. Chant one complete cycle of the entire mantra with each breath. Then deeply inhale and repeat. Remember to move the mouth precisely with each sound. Try to feel the resonance in the mouth and in the sinus area. VISUALIZATION: In your mind's eye envision peace within and without. Send peace to the Palestinian people of Gaza and all those that are suffering in the conflict and other wars around the world. TIME: You can do the meditation for 11 to 31 min. Decide before you begin and make the commitment to follow your time through til the very end. 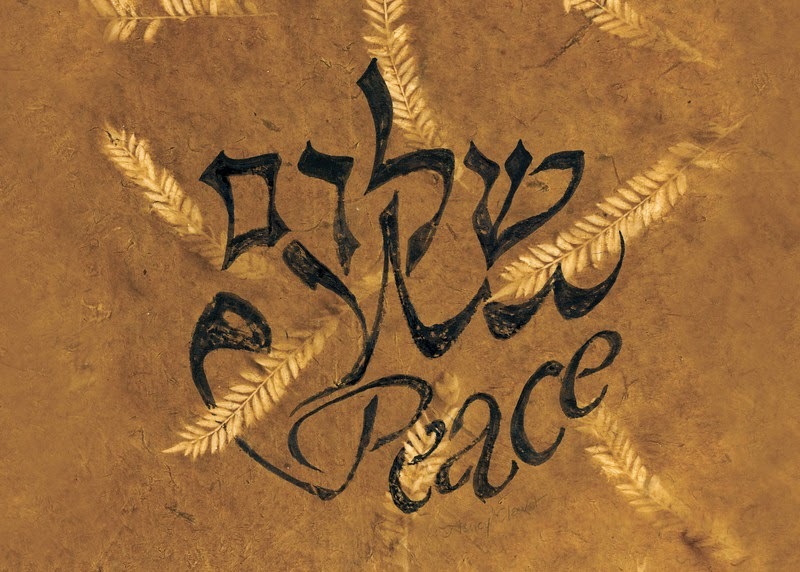 Leave at least 3 minutes before you conclude to switch the MANTRA to: PEACE (in your language of origin), SHALOM (peace in Hebrew), SALAAM (peace in Arabic). We will be doing this meditation collectively between the Ambrosial Hours of 5-7pm EST.